I have never seen an explanation of how the old share-time came to be—long-time WBAP (and Fort Worth Star-Telegram ) owner Amon Carter was famous in his loathing of Dallas, and it seems unlikely that he would have voluntarily shared time with a Dallas station, particularly one owned by the Dallas Morning News . 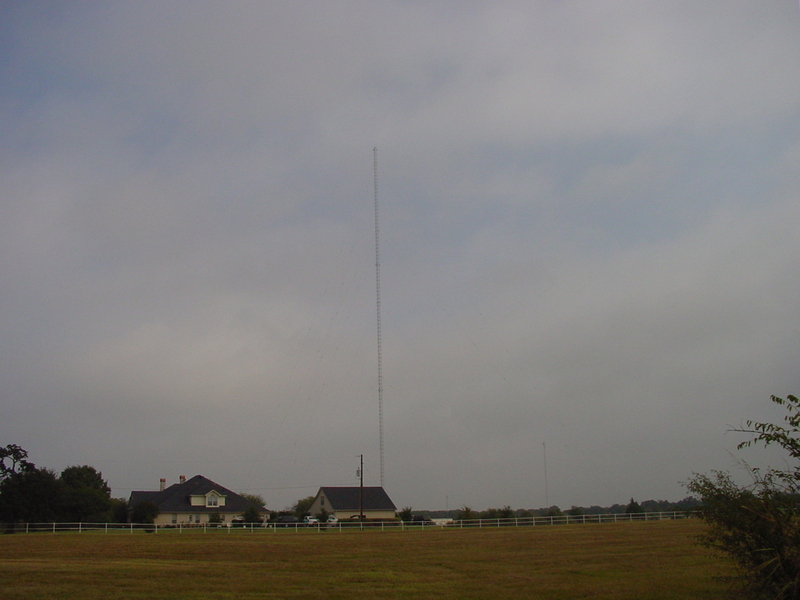 The share-time arrangement was more complicated even than most, because neither station left the air: WBAP and WFAA would simply swap transmitter facilities every few hours—but the network affiliations remained the same (NBC on 820 and ABC on 570). There was more to the share-time than just swapping transmitters every few hours. Originally, the two stations shared only 820, so when WBAP was on, WFAA was off, and vice-versa. In the late 30s/early 40s, the stations jointly bought KGKO, Wichita Falls on 570 and moved it to DFW (I think initially at the old 820 site, since paved over by an airport runway) to allow whichever station was not on 820 to be on 570. This was, of course, the original Dallas move-in!